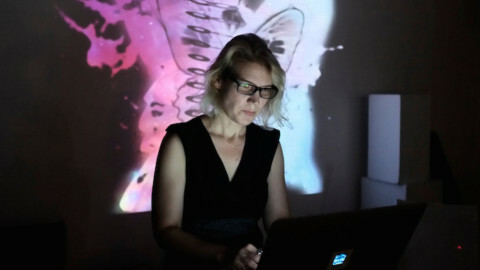 Erkki Veltheim is an Australian composer, improviser, performer and interdisciplinary artist. He has performed with ensembles such as the Australian Art Orchestra, Australian Chamber Orchestra, Berlin Philharmonic Orchestra, Elision and Ensemble Modern, has featured as a soloist with the London Sinfonietta and Melbourne Symphony Orchestra, and as an improviser has worked with Australia’s leading practitioners, including Anthony Pateras, John Rodgers, Jon Rose, Scott Tinkler and Tony Buck. In part three of his four-part masterclass series for Sounds Unheard, ‘Composing in the Moment: An Introduction to Improvisation’, Erkki introduces the idea of preparations – objects you can use on your instrument to create new colours and effects. Erkki shows how he uses Blu Tack, a common household item, on the strings of his violin to transform the sound of his instrument. Try this one at home! Join us next week for the final episode in this series, where Erkki will discuss ways of building freely improvised musical structures from pitched or rhythmic ideas. To learn more about Erkki, please visit his website or Soundcloud.